Your browser is out of date and does not support HTML 5 audio. 5.QHC Chair's Call to Action: Come with us! Community Engagement: Health Minister Challenges Us to 'Think Outside the Box'. 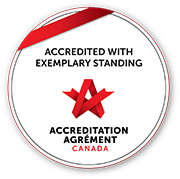 QHC Accredited with Exemplary Standing!